Need a space to hang coats and tidy away shoes? Farringdon is here to help. The design’s based on a Victorian luggage rack from a Metropolitan Line train circa 1887. 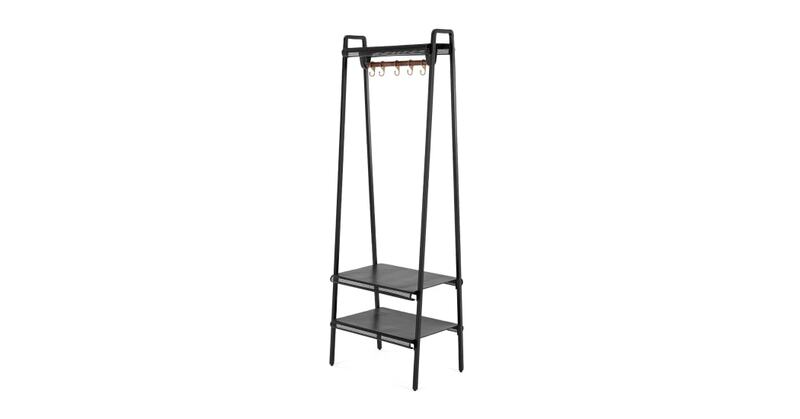 In matt black metal, with 5 handy coat hangers in trend-led brass, this storage stand will add an industrial edge to any hallway. As well as offering additional hanging space, the Farringdon rail features two sturdy shelves at the base, perfect for bringing order to that pesky pile of shoes by your front door.